Vous souhaitez poser une question à l'établissement The Beverly Hills Hotel ? Situé à Nakhonratchasima centre, le The Beverly Hills Hotel est l'établissement parfait pour profiter de Nakhon Ratchasima et de ses environs. De là, les clients peuvent facilement se déplacer et profiter de tous les avantages offerts par cette ville dynamique. Grâce à son excellente situation, l'établissement permet de se rendre facilement sur les sites incontournables de la ville. Au The Beverly Hills Hotel, l'excellent service et les équipements de qualité contribueront à rendre votre séjour inoubliable. Cet établissement abrite de nombreux équipements, qui satisferont les clients les plus exigeants. Toutes les chambres ont été conçues pour le plus grand confort des hôtes. La plupart d'entre elles disposent même d'une gamme d'équipements tels que télévision écran plat, miroir, chaussons, canapé, serviettes de toilette, et bien plus encore, qui satisferont les clients les plus exigeants. Vous pourrez profiter toute la journée de la détente que procurent centre de fitness, sauna, terrain de golf (rayon de 3 km), piscine extérieure, piscine intérieure. De superbes équipements et un excellent emplacement font du The Beverly Hills Hotel le point d'ancrage idéal d'un séjour à Nakhon Ratchasima. Dear Guest, Thank you for having taken your time to provide us with your valuable feedback relating to your stay with us.we are sincerely concerned, Your helpful comments are much appreciated,and your feedback will help us to continually improve the standard of facilities and services offered to all our guests. Looking forward to see you again in the near future. With Best Regards, The Beverly Hills. Très agréable. Possibilité de faire le tour du lac en vélo , restaurants à proximité. Location is excellent near lake and park. Bicycles available for free. Very limited breakfast in terms of choices and amount. Found personnel sleeping in gym. 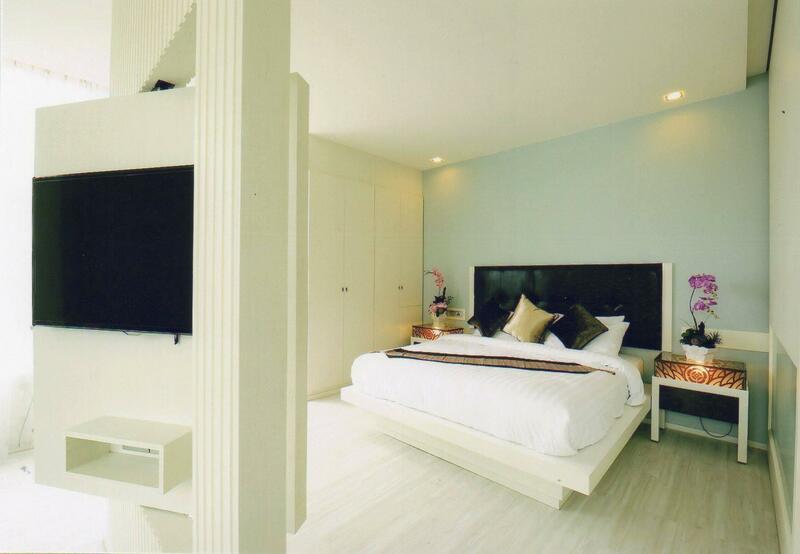 Expensive to stay, price is close to Holiday Inn hotel in Bangkok. Not recommending this to travelers. I've stayed many times in Beverly Hills. 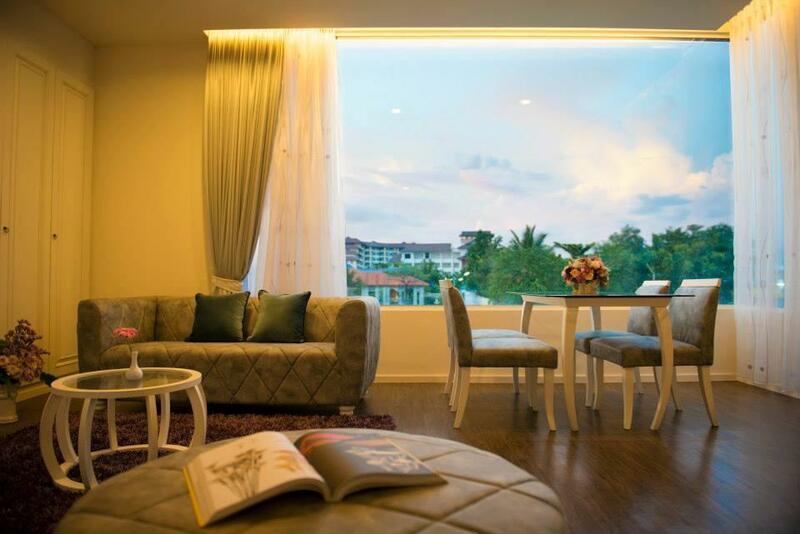 It's a great location to relax and explore Korat. Beautifully maintained lake opposite, very safe, and well populated by cyclists, walkers and joggers. Beverley Hills have a number of mountain bikes that you can borrow at no cost. The gym at Bev Hills is very good and they also have a nice pool. Dining options are limited, but it's not really an issue. There are many nice places close to the hotel to eat, and there are always the numerous large malls in Korat with a variety of restaurants. Staff are very nice and helpful. If you do need a bike, ask the Security Guard to prepare for you for the next morning. He'll get it ready and inflate the tyres for you. Give him a 20 baht tip. He's a good guy! Dear Sir, Thank you very much for your valuable comments, we will consider all your suggestions to give you more best service. Waiting to welcome you again. With best regards, SineenartT, Front Office Manager. This place needs a restaurant. rather then pre-breakfast, they should have within the premises., I really like this place, but if they would add a room service system, it would be even more perfect. I still enjoy to stay, they do have a vending machine, but this takes me as a high class hotel they are just missing the food part. A bit out of town so need a car. Rooms are 1950's art decco style with modern updates such as spa bath. You can have room service or eat downstairs. Each room has a different color scheme and touches of furniture. All round, a nice place to stay, and the water view is great from the better rooms. Dear Sir / Madam, Thank you for staying with us and for your kind review and recommendation. We are delighted to note that you had a pleasant experience on that your stay with us; and appreciate your valuable feedback on our rooms and amenities as well. Thank you once again for your review and for your patronage; and we are looking forward to welcoming you on your next stay with us. With kindest regards, FO Manager. The Beverly Hills Hotel. A two person jacuzzi bathtub for every room? Walking distance from Bung Talua Park? Amzing for couples looking for a budget winter getaway. Dear Khun Issaravadee, Thank you so much for this fabulous feedback. We are happy to hear that we could exceed your expectations. We are really looking foward to welcome you again soon. Warm greetings from The Beverly Hills on behalf of the team Best Regards, SineenartT. Front Office Manager. An interesting hotel. Room was very clean, high ceilings and cool. The bathroom was really nice. Lovely rain shower, and a separate (large) Jacuzzi bath. Wasn't expecting that, so a nice surprise. The pool is nice, and overlooks a large lake. Nice view. The gym was excellent, with a good combination of free weights, machines, and cardio equipment. The only not-so-positives were the food and the parking. Food wasn't bad, but was quite mediocre. Having said that, there are lots of restaurants in that area, so it wasn't an issue. Off-street parking is available, but the design is a little tight, in terms of having to navigate between pillars and take some tight 90 degree turns. Again, not a major issue (if you can drive!). Staff are really nice and friendly. Overall impression was good, and I would definitely stay again. Dear Khun lan, Thank you very much for your kind feedback. We are happy to hear that you enjoyed your stay with us. We have read your review, It is very important for us that our guests' experiences are shared. we so highly appreciate that you enjoyed your holiday here and felt comfortable. Hope to see you again in the near future. Your Sincerely , Front Office Manager. The Beverly Hills Hotel. 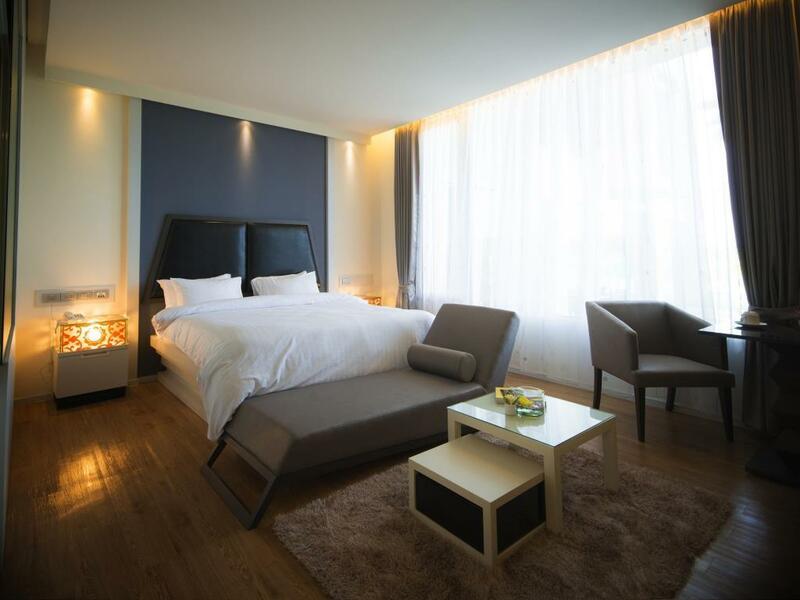 We had an excellent stay at this very modern boutique hotel. The staffs were very friendly. 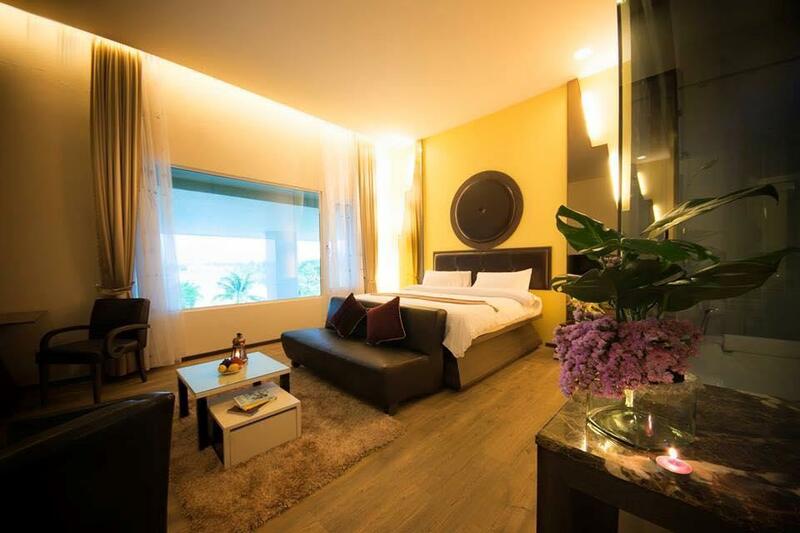 The rooms are nicely decorated and spacious (we stayed at a Sweet suite facing the public park) - very modern, stylish and well equipped with things such as rain shower, Jacuzzi, 3D-large screen TV with 3D DVD players, 3-seater sofa, dining table, lounge etc. The pool and fitness center (with very friendly trainers) are on the 4-th floor and there you have a very nice well of the public park (Bung Ta Lua Water Park). The cons about this hotel are: breakfast needed to be ordered the night before and appeared cold when served; the location is not as convenient as some other hotels in town and there are not many restaurants close by. 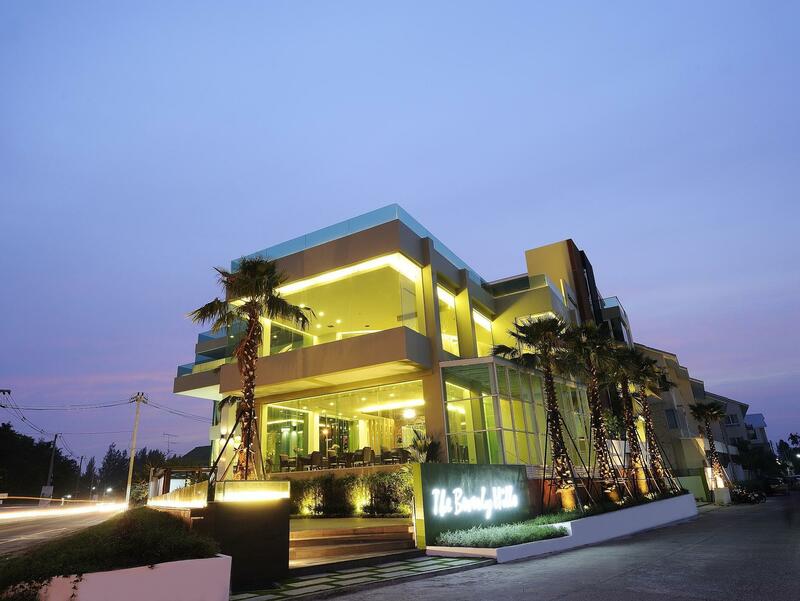 Overall, we have a very good impression of the hotel and will definitely stay here again the next time we visit Korat. Close to the city center without the inconvenient, quiet and in front of a lovely lake you can walk around. No English / basic English speaking staff. Has parking in front. Very comfortable bed and big rooms. Basis breakfast, could be a little bit better for the price but OK.Overall good value for money. At first, it is hard to find the hotel because the map is wrong. This place is actually a part of housing estate which turn to a hotel. the price is suitable for this place. The room is big and decorated with modern style. I like Jacuzzi and rain shower in the bathroom. You can turn on rainbow light in bathroom for romantic atmosphere. However, the staff, guard, and parking is not so good. No customer stays here at all so it is very private. But there mostly customers with expensive cars such as Benz and Lamborghini stay here. Not a single english channel available was only major bug. Nice big clean rooms that were modern! They even had a card in the room for the power to get the aircon going ready for us as it was a hot day! Reception were lovely. Nice location near a local park. Dear Mr. Gary, Thank you for choosing to stay our hotel during your trip to Korat and sharing your generous review. We are delighted to read you truly enjoyed your stay with us. We are hoping to welcome you back in the future. Kind regards, FO Manager. The Beverly Hills Hotel. I would recommend staying in this hotel only if you are looking for the best customer service in ALL of Asia. I could leave countless examples of my amazing experiences at this establishment, but no one wants to read an essay, so I will simply say Sineenat (Khun Up), the manager, will make your stay legendary. If I every have a reason to stay in this area again I WILL be staying at the Beverly Hills hotel. To the staff of the Beverly Hills, thank you very much for making me feel so welcome! 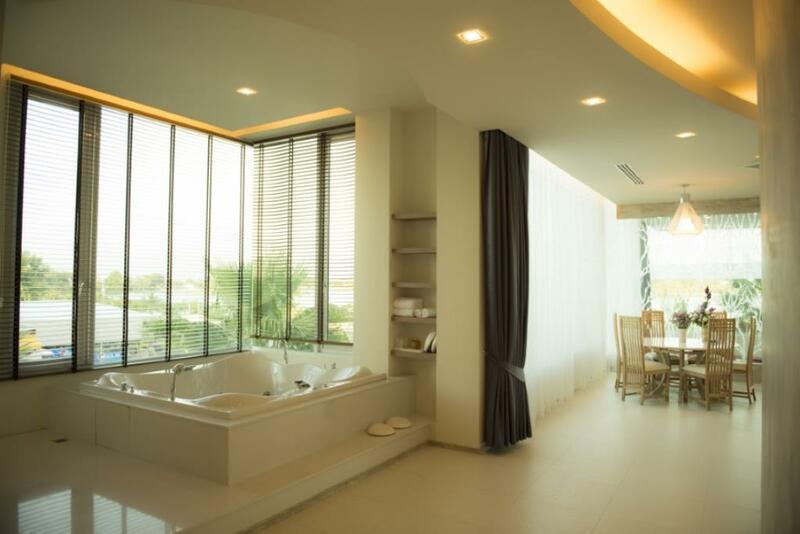 Unique Features: Lake front property with a 2-mile (3.2 km) running track, next door to a temple, and close to the Royal Thai Air Force base if you are here for business (Ex: Cobra Gold). Dear Khun Jeremiah, I appreciate your positive feedback about our hotel. We do take pride in catering to our guests’ needs the best way we can. If you’re traveling to our area gain soon, don’t hesitate to call us, your feedback will help us to continually improve the standard of facilities and services offered to all our guests. Looking forward to see you again in the near future^^ Best Regards, SineenatT. FO Manager The Beverly hills hotel. Dear Khun Steven, Thanks for taking the time to give your feedback. We would like to thank you for choosing to stay at The Beverly Hills Hotel. We hope that we managed to make your day extraordinary and special. we are sorry to hear the cable TV, we're currently taking steps to upgrade more English channel.Hope to see you back some day. From Front Office The Beverly Hills Hotel.